What Is An EMR or An EHR? Recently, National Alliance for Health Information Technology (NAHIT) established definitions for electronic medical records (EMR), electronic health records (EHR) and personal health records (PHR). 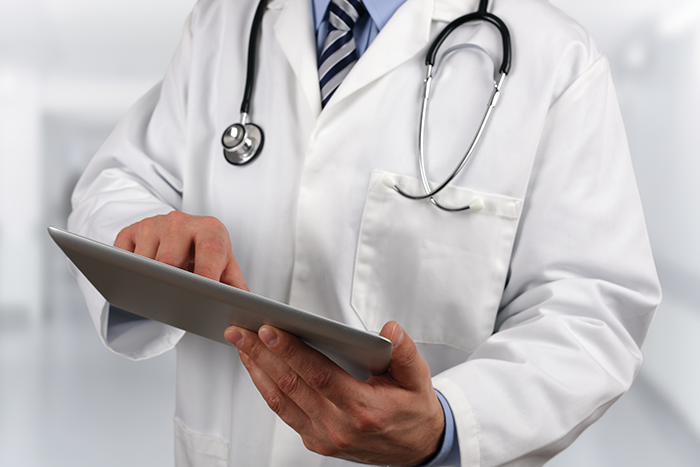 EMR or EHR - Which Is More Accurate? An EHR will provide a more comprehensive view into a patient’s health and history by pulling information from other systems, providing clinical decision support and alerting providers to health maintenance requirements. It will help providers report and measure quality indicators for pay-for-performance incentives. Meanwhile, an EMR is a more silo’d record of a single diagnosis or treatment, most likely used by a specialist. If your responsibility is taking care of one unique problem – perhaps an orthopedist setting a bone – then a stand-alone EMR may well be sufficient. Certain specialists may not need information about patient history as much as they need specialty-specific workflows and templates. Despite the NAHIT definitions, we think the market is still figuring out which definitions to adopt. An analysis of Google Trends data shows that roughly four times more searches are performed for “electronic medical record” than for “electronic health record.” At the same time, “electronic health record” seems to be gaining in search frequency. Google search frequency index by health care IT keyword phrase. The Google search trend data indicates an increased usage of EHR, but EMR remains more prevalent. The same is true when we look at the usage of terminology by software vendors. Regardless of who’s using which terms, the key decision process for selecting an EMR/EHR is to map out your organization’s requirements and methodically assess systems against those criteria. Current-year interoperability certification standards (CCHIT, HL7); A unique workflow that matches your practice and specialty, and; Excellent usability at the point of care. If you purchase an EMR or EHR with these three requirements, you should receive a significant ROI on your investment, and position yourself to receive incentives from payers. ePHR: An electronic, cumulative record of health-related information on an individual, drawn from multiple sources, that is created, gathered, and managed by the individual. The integrity of the data in the ePHR and control of access to that data is the responsibility of the individual. To be most effective, a PHR should include cumulative health information ranging from past and current illnesses, demographics, allergies, prescriptions and more. Given the nature of the PHR, it’s the individual’s responsibility to decide what information is stored, and who has access to it. Microsoft’s HealthVault and Google Health are two prominent examples of PHRs. Whether these systems are widely adopted, and properly updated by patients, is yet to be seen. Note: National Alliance for Health Information Technology website has closed as of Sept 30, 2009 after reaching their objectives. Which System Is Better - EMR Or EHR? Even with complete definitions in place, it can be difficult to evaluate EMRs/EHRs and determine which system to buy. At the same time, most providers will make their decisions based on their IT budget and their career stage. A young physician will almost certainly want to lay the IT foundation for participating in the future vision for healthcare interoperability. They will likely be supported in this effort by their health system. Meanwhile, a more mature physician that wants to “go paperless,” but is not an aggressive adopter of IT, may well opt for a stand-alone EMR system and forgo the costs and challenges of integration. In the end, these individual decisions underly what is a deliberate, but very slow, adoption of health care technologies. Rumors about electronic medical records continue to persist, but one vendor is trying to separate the myths from the facts. EMRs are bad for “bedside manner.” A good EMR (Electronic Medical Record Database) allows a doctor to spend more time with a patient and less time with paperwork. Plus, patients can get real-time access to their own health records online through the doctor’s EMR system. 1. You Can’t Teach Old Doctors New Tricks. Tools such as dictation software and customizable templates can help win over even the most technology-adverse doctors. 2. 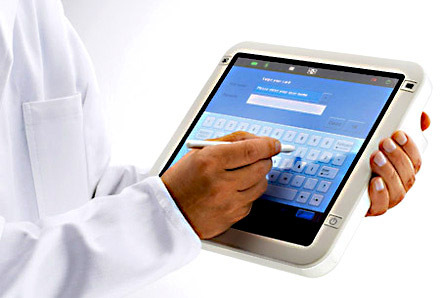 Only Hospitals & Medical Centers Use EMR. While EMRs are more common in large medical facilities such as hospitals, health technology is starting to sweep into smaller private practices. 3. Having My Data Stored In An EMR Database IS A Security Risk. Federal HIPAA regulations are very strict about who can see inside your chart and give your EMR records protection beyond what’s possible with paper charts. In order to open an electronic chart, a medical professional needs strict login permissions. However, new affordable EMR technology is emerging that is making it easier for small practices to join the technology transformation. Securing Electronic Health Records to Achieve “Meaningful Use” Compliance, Prevent Data Theft and Fraud. Since the passage of the HITECH Act, under the American Recovery and Reinvestment Act of 2009, efforts toward HER adoption have increased significantly. Eighty-one percent of hospitals expressed their intent to qualify for payments under the Medicare and Medicaid EHR Incentive Programs, with about two-thirds expecting to enroll during the first stage of Meaningful Use (MU) in 2011-2012, according to the 2010 American Hospital Association’s Annual Survey Database. 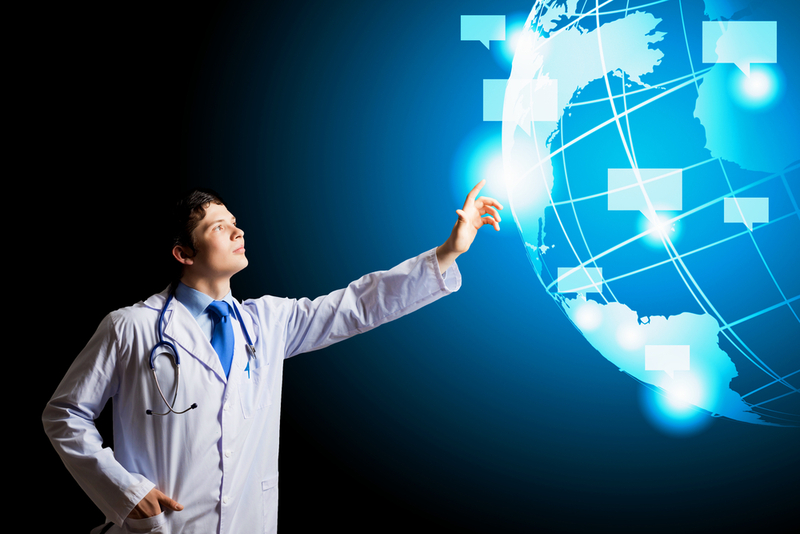 What Is The 2014-15 EMR Mandate Legislation? What Are Some Of The Objectives of EMR? Does TSP Assist Doctors With Compliance? The Health Insurance Portability and Accountability Act of 1996 - This Act requires the Department of Health and Human Services (HHS) to adopt national standards for electronic health care transactions and national identifiers for providers, health plans, and employers. To date, the implementation of HIPAA standards has increased the use of electronic data interchange. Provisions under the Affordable Care Act of 2010 will further these increases and include requirements to adopt operating rules for each of the HIPAA covered transactions, a unique, standard Health Plan Identifier (HPID), a standard and operating rules for electronic funds transfer (EFT) and electronic remittance advice (RA) and claims attachments. For more information regarding HIPAA including additional provisions under the Patient Protections and Affordable Care Act (Affordable Care Act or ACA) of 2010, go to the “Related Links Outside CMS”. This legislation ensures that all medical records inside the United States are converted to the electronic format by 2014. There is no denying the truth that an increased adoption of EMR or electronic medical records by physicians, healthcare organizations and their related organization associates is now a gradually-progressing certainty. A rather recent legislation further underlines the initiative for moving onto the electronic platform of storing patient medical records-called the American Recovery and Reinvestment or the ARRA. This legislation is aimed at doing a lot more funding including a network of incentives that can be directly resourced towards healthcare professionals or physicians who are able to adopt EMR and abide by the "meaningful use" of Electronic Medical Records by 2014. The year 2014 is also essential in the perspective that from 2015 onwards, penalties could possibly be levied against doctors dealing with patient healthcare data that are unable to upgrade to reliable and secure electronic medical record technologies. Legislation like the ARRA and the entire campaign advertising and marketing EMR is in accordance with the principle that electronic medical records offer the combined benefit of securing patient information and cutting down healthcare costs. It should be noted that the proposed penalty in 2015 is 1% and this can almost certainly be expected to increase incrementally up to 5% in future years.Early on, the penalties will likely be levied against reduced Medicare and Medicaid reimbursements. The government is very serious in terms of ensuring that the conversion rate to EMR & EHR technologies is high with the 2014 Mandate. With 2012 comes new laws and regulations, including the implementation of various “Obamacare” edicts, including the Electronic Medical Record (EMR) Mandate. Healthcare offices are currently in the process of transitioning their medical record keeping systems to an entirely digital model. EMRs are a centralized, systematic collection of electronic health information capable of being shared across different health care settings, by being embedded in network-connected enterprise-wide information systems. Such records may include a whole range of data in comprehensive or summary form, including demographics, medical history, medication and allergies, immunization status, laboratory test results, radiology images, vital signs, personal stats like age and weight, and billing information. Its purpose can be understood as a complete record of patient encounters that allows the automation and streamlining of the workflow in health care settings and increases safety through immediate, evidence-based decision support, allowing for quality management. The EMR System is currently in transitional test phases, and must be fully implemented by 2014. The system is divided into subcatagories: Electronic Medical Records (EMRs) and Electronic Billing Records (EBRs). Though the software programs share information for the sake of verifying the identification of the patient, they are sold and operated as separate programs, requiring different information inputs. Prior to the EMR system, reporting of a patient’s race and/or ethnicity was not standardized, let alone mandated, and was specifically used by offices as an informal means of verifying a patient’s identification. Now, failure to properly note a patient’s race and ethnicity shall result in fines up to $5,000 per month, and failure to receive compensation for care and treatment of subsidized patients. The instructional material states that the recording of this information [ethnicity] is primarily for “determining a patient’s eligibility for federally subsidized healthcare” under Obamacare. Technical Service Professionals (TSP) team of certified technicians can provide quick and efficient software implementation and database development strategies to assist any doctor with EMR EBR & EHR Compliance. Our state of the art software installation pinpoints the latest EMR & EHR compliance issues to assist any physician with becoming up to date. 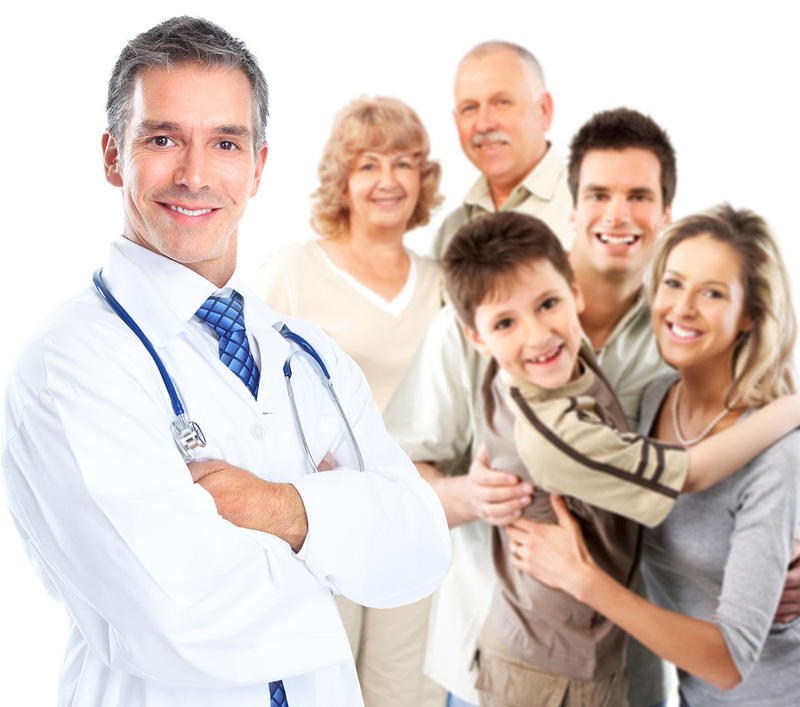 TSP works with many doctors offices and has streamlined making the transition easierto understand and implement. This way each doctor can rest assured that his/her practice is in complete compliance and eligible for all governement incentives. The Health Information Technology for Economic and Clinical Health (HITECH) Act provides Health and Human Services with the authority to establish programs to improve healthcare quality, safety and efficiency through the promotion of health information technology (HIT), including electronic medical record (EMR) systems and private/secure electronic health information exchange. TSP technicians have detailed training and software development access regarding HITECH and HIT legislation and are experts at quickly and efficiently implementing EMR or EHR software systems. With our streamline process and two technicians on site during the integration process, your practice will operate without restriction, intrusion and almost no disruption in your operation. TSP also breaks down the legal terminology for doctors that seek to have a better understanding of "meaningful use" works and how it applies to eligibility requirements. TSP further enhances the productivity of each practice we assist with clearly defined information to assist each doctor with increasing efficiency through the newly integrated EMR, EBR or EHR system.